Stretch marks are the ugly looking, whitish lines which appear on our certain body parts like arms, thighs, abdomen, breasts etc. Either weight loss or weight gain can trigger them. Most commonly pregnant women develop stretch marks but men can also develop them. With puberty teenagers can also develop these marks. 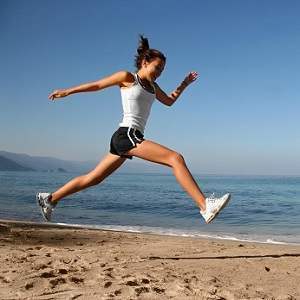 This is because of the the sudden growth spurt which is associated with changes in hormone levels. These marks are permanent and cannot be entirely removed. But you can use certain tricks at home to lighten them. Lemon juice Lemon contains citric acid which bleaches your skin naturally. That is why lemon is very effective to reduce stretch marks. 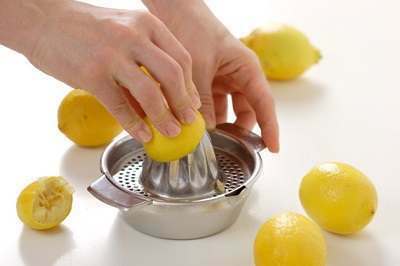 Cut a fresh lemon and squeeze its juice out. Apply it to the skin affected by stretch marks. Leave it on. After ten minutes, wash off with tepid water. Repeat this a couple of times every day for good results. Vegetable oil massages In Indian tradition, new mothers are given bath with natural oils for a few months after childbirth. Oils like castor oil and coconut oil are used to massage whole body including scalp then a hot water bath is taken. This ancient technique is used by health spas and beauty centers. Vegetable oils like olive oil, coconut oil and castor oil are so effective because they have moisturizing abilities which help smoothen wrinkled skin thus removing stretch marks. Before bedtime, take some olive oil, warm it a bit and rub it deeply over the affected area or whole body. You can also use a mixture of coconut oil and olive oil. The following day wash it off with some warm water. A light soap can also be used if needed. The most effective way to use castor oil is to warm it slightly before application on skin. Then cover that oiled area with a piece of cloth dunked in warm water or a sheet of plastic. Hot water bottle can be used over oiled areas to increase its effectiveness. This is because warmth opens up pores in our skin and let it absorb oil faster. Egg white Egg white contains lots of protein which are helpful in decreasing stretch marks. Crack two eggs open, separate yolks form the whites. Whip up the whites gently. Apply thick layer of this egg pack on the stretch marks. Let it dry, then rinse it off with some water and moisturize that area with olive oil. 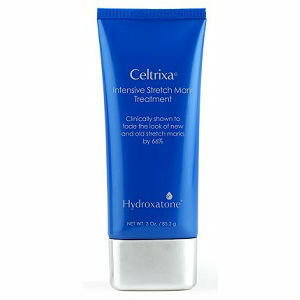 Moisturizer By maintaining the skin elasticity, stretch marks can be reduced. To keep skin elastic and fresh, it must be kept hydrated by using a proper moisturizer regularly. You can use moisturizers available commercially which contain cocoa butter and Aloe vera. Alternatively you can make home-made moisturizer by blending equal parts of olive oil and Aloe vera. Vitamin E Pure Oil After prolonged period, reducing stretch-marks gets difficult. In such case you can massage Vitamin E pure oil onto the affected area regularly. Aloe vera When skin loses its elasticity, it leads to the formation of stretch marks. 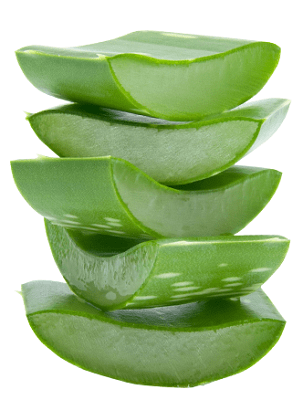 With its healing properties, Aloe vera helps improves skin elasticity. Cut an Aloe vera leaf, peel it, and force out the juicy gel. Massage it over affected area. 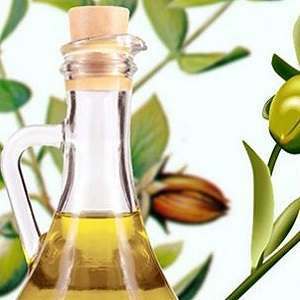 Vitamin E pure oil can also be used with it. 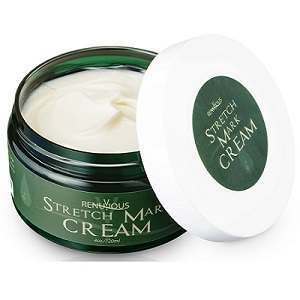 Commercial market is full of products which make bogus promises of curing stretch marks completely. But it is impossible! You can only lighten them to improve your appearance. While you can use simple home remedies for this, what is the point of wasting your money on phony products. Use these simple tricks and eat lots of veggies especially greens to lessen your stretchmarks.